Greg Skomal shares his approach to staying safe around white sharks. The death of a 26-year-old man off the coast of Wellfleet September 15th marked the first deadly shark attack in Massachusetts in more than 80 years. But it was also the second shark attack here in a month. Sixty-one-year-old William Lytton was bitten by a great white off of Truro on August 15. He survived. 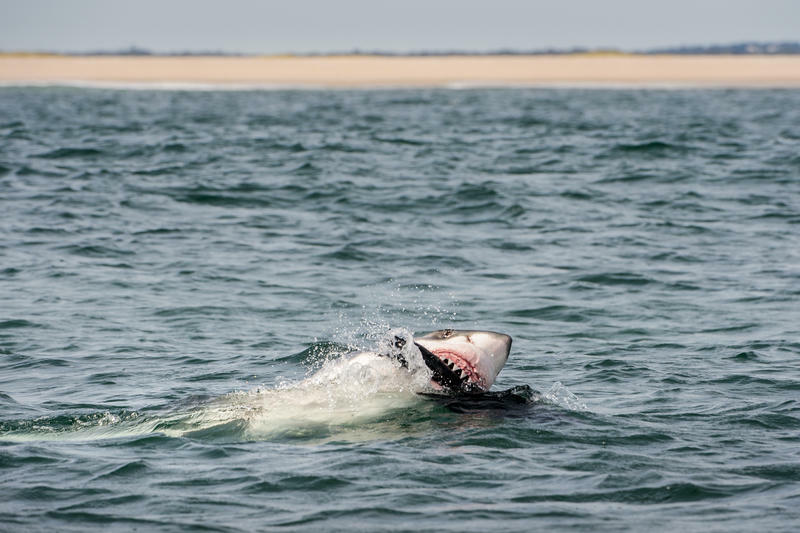 On July 30th, shark researcher Greg Skomal was tagging great whites off of Wellfleet when one leapt out of the water and seemed to snap at the boat's bow, just below where Skomal was standing. 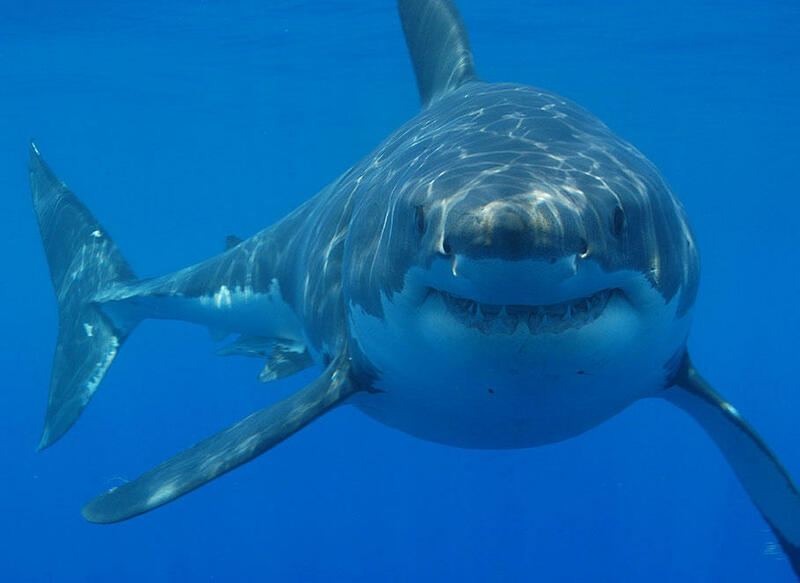 It made us wonder: are we certain that sharks are misidentifying humans as seals? “We believe it to be a misidentification by these fish,” Skomal told Living Lab Radio, but there isn’t a lot of data on the topic because shark bites are so rare. “It really does remain an area where more research needs to be done,” he added. Asked whether there is such a thing as a shark that hunts people, Skomal says there is not. “There's no evidence whatsoever [of that] for any shark species anywhere in the world,” he said. Still, Skomal does not take chances when he swims in the waters off Cape Cod. He only goes in up to his waist. “That's probably three to four feet deep on most people,” he said, adding that large white sharks rarely go into waters shallower than six feet deep because of the danger of stranding. 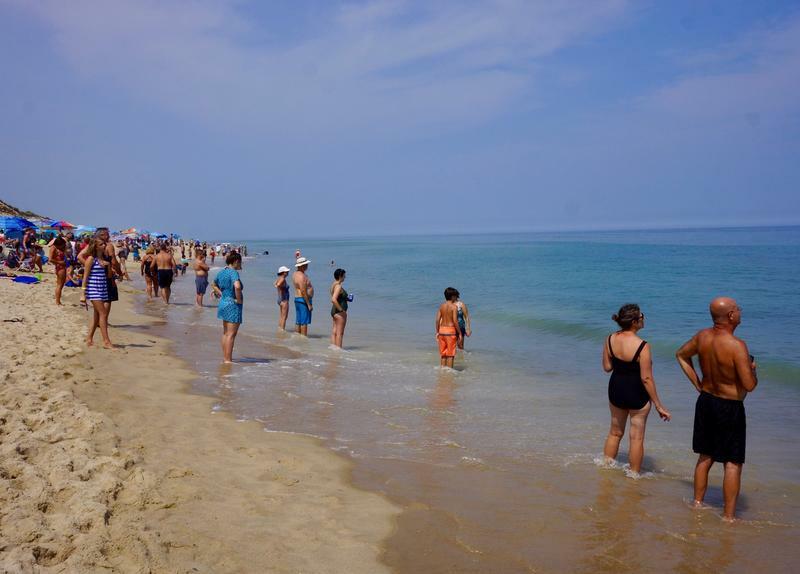 Skomal says that people should be aware that there are deep channels close to shore at some of the outer Cape beaches. This allows sharks to get closer to shore than they would be able to otherwise. With all the media interest in sharks, Skomal has had filmmakers ask if they can drop down into the water with the white sharks to get the perfect shot. "I tell them I don't think that's a great idea," Skomal said. "Primarily because this is a top predator that is hunting close to shore...it's a natural hunter and a very good predator." Web content written by Elsa Partan. People track how much exercise they get using a Fitbit, and now there’s a similar device for sharks. These accelerometer tags use the same computer chip as the human Fitbit and track how many times a day a shark beats its tail, any changes in body pitch and posture, and the shark’s orientation in the water. All that, plus the depth and temperature of the water. For decades, public perceptions of sharks have been shaped by images of man-eating monsters, like Jaws. Award-winning underwater photographer Brian Skerry would like to change that. His new book, Shark, is a collection of vivid, up-close photographs with stories written by Skerry and his colleagues at National Geographic Magazine. Skerry was only twenty years old the first time he encountered a shark face-to-face. After hours in a shark cage seeing nothing, a female blue shark emerged from the murky water. Cape Cod has seen a dramatic increase in the number of great white sharks frequenting our waters since 2009. Most have been adults, but sightings of baby white sharks are also on the rise. 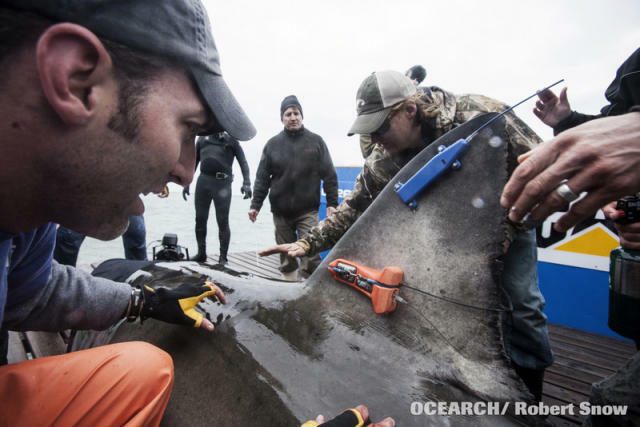 Now there’s research that points to Cape Cod as the next great white shark nursery. 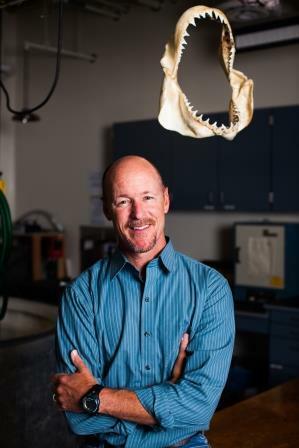 Chris Lowe, professor of marine biology and director of the Shark Lab at California State University at Long Beach, has been studying this possibility.